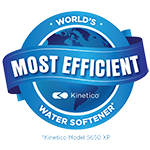 At McKinley Water Conditioning, we understand the water challenges in this area and take the time to learn about your family’s particular water treatment needs. That way, we can recommend the most efficient, effective and economical water treatment solutions custom fit to your home. So every time you turn on your tap, you know you’re getting the best water – and only water. For a free water analysis, please fill out the form below and click submit when you’re ready. Your local McKinley Water Conditioning water professional will be in touch within 24 business hours to schedule your free water analysis appointment. Request a free water analysis today.